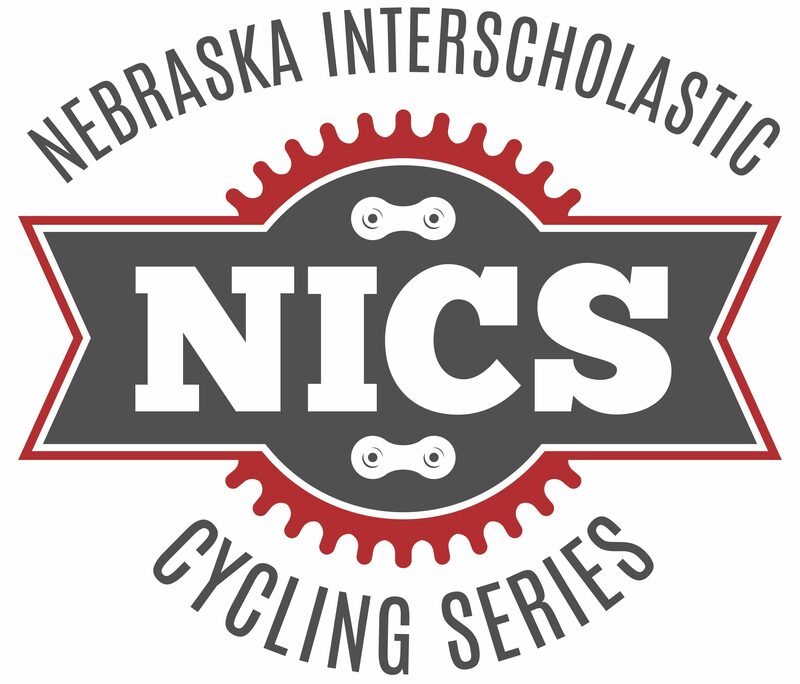 The Nebraska Interscholastic Cycling Series (NICS) offers a fall program for middle school, junior high and high school students. Volunteer coaches and teachers form teams to learn, practice, and race bicycles around the Omaha metro area. Racing is not required, however! Categories for racing are: Varsity boys and girls, and Junior Varsity boys and girls. For middle-school & junior high racers, they will start just after JV. Each race is sanctioned with USA Cycling and managed by certified local race directors who run the Psycowpath Racing Series. How much does it cost to be on a club team? Participation fees vary by team, as each team works to cover costs associated with their respective program. Most team costs include jerseys, insurance, apparel, refreshments, practice and race supplies. Each racer must purchase a $35 annual USAC license from USACycling and pay $50 league fee to cover insurance and race set up costs. Team Coaches will collect these fees from their members and submit to the league in advance of the racing season. Deadline is September 7, 2018. Racers not associated with a club-team can purchase an annual license for $35 at USACycling. New members will need to set up an account. Then each race is $20 to cover insurance and race set up costs. Non team-club racers will need to register online by the Friday before the race and bring a signed waiver to the registration table. Which area high schools have established teams? What if my school doesn’t have an established club or team? No problem! As long as you have a bike, helmet and a t-shirt or jersey, you can still race and earn individual season points! See above for fees for unaffiliated racers. What if I’ve never raced a bike before? Can you ride a bicycle? Are you willing to push yourself in a fun, inclusive environment? That’s all we ask. There are no “tryouts” or selection process for making a club team. If you can ride a bike, you can join and race only if you want. Cycling and competition can be a lifelong activity. We encourage all to give it a try! Nothing fancy! To safely ride on dirt trails, students use a mountain bike with flat handlebars, multiple gears, and 1.5”-2.5” wide “knobby” tires. Hand brakes are required for racing (no coaster brake only bicycles). Bikes should shift well, with a clean, rust free chain, and tires that hold air. Brakes should stop the bike firmly and confidently. Brake levers that pull “back to the bar” are deemed unsafe for racing. Your local bikes shops can help get your bike ready for safe riding and racing. Helmets are required at all races and practices. Athletes need to wear a shirt or jersey with the school’s name or logo on it during competition. We strongly recommend portable hydration as well, like a water bottle mounted on the bicycle, or a “camelbak” style hydration pack. Optional equipment to consider includes gloves for comfort, sunglasses/eye protection, and some riders choose to buy specific shoes and pedals with a “clip in” retention system but flat pedals and tennis shoes work just fine! What time do I need to be at the races? We recommend arriving no later than 45 minutes to 1 hour ahead of the actual race time. This allows racers time to get registered and get warmed up before the race announcements. This also allows for time if something on the bike needs adjusting. Where do my family members go to watch the races? Depending on the location and type of race, family and friends can be right next to the courses for up close racing action! For mountain bike races, competitors will be racing in and out of wooded areas, so most fans stay in the more open areas but can wander into the woods if they like.